We sometimes get lost, but who doesn't? Most of all we want to be appreciated for our HARD work! We want love and be loved. This week photos with a little bit of red - the colour of love and what women want! Is gossip all that girls do? My favourite two women in the world!!! One of my favorite photos, caught because of a lucky moment, freedom and joy is captured. I am pleased to inform that I will have a new exhibition up from 6th of March in Tartu, in Tartu Lastekunstikooli Jakobi galerii, Jakobi 52, Tartu. This is not a photography exhibition, but an ode to analogue photography, which is basically presenting all leftovers, which occur, when taking photos on a film and developing them later. Definitely not an average presentation, as it is more or less playing in the border of installation and reusing with a hint of recycling. Exhibition is up until 28th of March 2019, Tuesday to Friday 14-19. 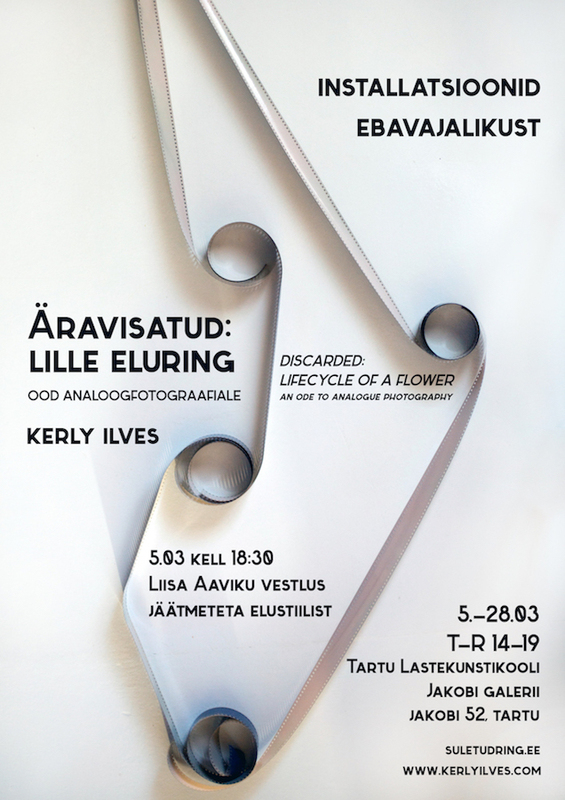 Liisa Aavik from suletudring.ee is giving a lecture in Estonian about waste free living on 5th of March, 18.30. You are welcome! This exhibition is possible because of my ever so supportive family. NB! Exhibition has English narratives and the visit is free of charge. March - a month dedicated to women!